Despite another month having passed the response to the proposal put together by the administrators and laid out below has been dismal and we must assume that their isn't enough support to make the proposal viable. There has only been one additional member volunteering to help support the website financially. Though we don't want to, we must assume this website is no longer considered desirable or necessary and we will not try to keep it operating any more. Perhaps this was a sucessful college project for Martin but at this point it has died. If someone else wants to try with this proposal or some other proposal, we administartors wish them well and good luck. That person will have to communicate with the website owner, Martin Hartley. As of the end of February, we have 6 members who have said they are willing to support a new website. We're looking for many more before we can commit to having a new website built. If you're interested in being part of this effort, please, send a private message to The Grumpy Old Squid or to David in Florida. The administrators want the Raleigh Twenty website to continue, just as you do (we hope) and we've done some research on what can be done to resolve the problems the website has been going through here with WEBS as the host. This caused a conversation to be held with a website developer and this is the result of that conversation. It is not possible to migrate the website as a whole to another host. 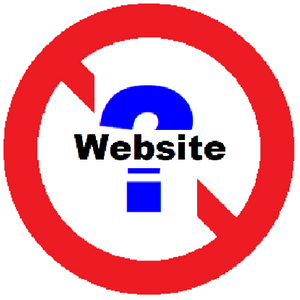 The website was built through WEBS and the information we've put on the website cannot be taken off as a single block. This is intentional on the part of WEBS and common among web hosts of the same nature (WEBS, GoDaddy, WIX, and other quick build website host companies). This website will have to be rebuilt from scratch. Here are some ballpark financial figures (all figures are for U.S. dollars). To start, we need to obtain our own domain, for about $200. Annual renewal for about $100. To build a website similar to what we have now, it would cost about $1000 for the labor alone. We would need different plug-ins (think apps), each with its own cost ($200 - $300), to handle the different functions that are variable and accessed by the general membership. These are one time fees (I think). Total cost from ground zero to a fully operational website is $2500 (rough ballpark figure). We would need to raise initial funds to do this. per member initial cost = $2500/N (N = number of active members). After the initial outlay we'd have to charge annually for the website to continue. Remember, these figures are all approximate and subject to reality. The administrators need to know how many members of the website are willing to remain members and to contribute funds for the construction of a new website and its future maintenance. There are 1368 registered members of the Raleigh Twenty website but not all of them are active. Before we can make the decision to move forward with a new website (or not) we need to know the level of interest and committment from the members. Are those active members willing to spend the money necessary to fund this website? Are they willing to pay an annual fee for the website's continiued maintenance? If you want the Raleigh Twenty website to continue and are willing to contribute for that to happen please send a private message to either The Grumpy Old Squid or to David in Florida and tell us that. We need an accurate count of members who are interested. Thank you all for your past interest and participation in this website, we hope you found it both interesting and useful, we also hope you are willing to contruibute the necessary funds to have it continue. The Website Administrators, David in Florida, The Grumpy Old Squid, and 2whls3spds. The website is sometimes updating and sometimes not updating the Recent Forum Posts so that section of this column is not always reliable. If you are unsure that you are seeing the Recent Forum Posts, follow the directions immediately below. To see the Recent Forum Posts, click on the FORUMS tab in the row of tabs under the page header, above. When the FORUMS page comes up, click on recent topics on the right side of the page. That will bring up all the FORUM postings from the newest going to the oldest, AFTER the "Sticky" postings. That is the best way to go through the FORUM postings and stay current with them.